Basic Owner’s Manual – Digital Camera Model No. DMC-FZ47: 44 pages, 3 MB. Owner’s Manual for advanced features – Digital Camera Model No. DMC-FZ47: 189 pages, 5.8 MB. Alternatively, you can visit the download page for the FZ47 / FZ48 manuals and get the operating manuals from there. 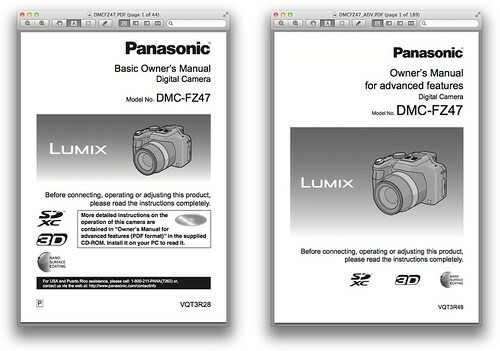 Panasonic FZ47 / FZ48 — Main page.